Foreign Minister Vivian Balakrishnan yesterday gave an interview to Singapore media after the joint media conference in Putrajaya. This is an edited transcript. CNA: The meetings you had in January and today have been considered constructive and positive. But we hear it being played out in Parliament on both sides. What will it take to have that concrete set of negotiations to be on the same page? A: Today's agreement is a very important first step. The key point is that we are reverting to the situation that existed before the 25th of October last year. 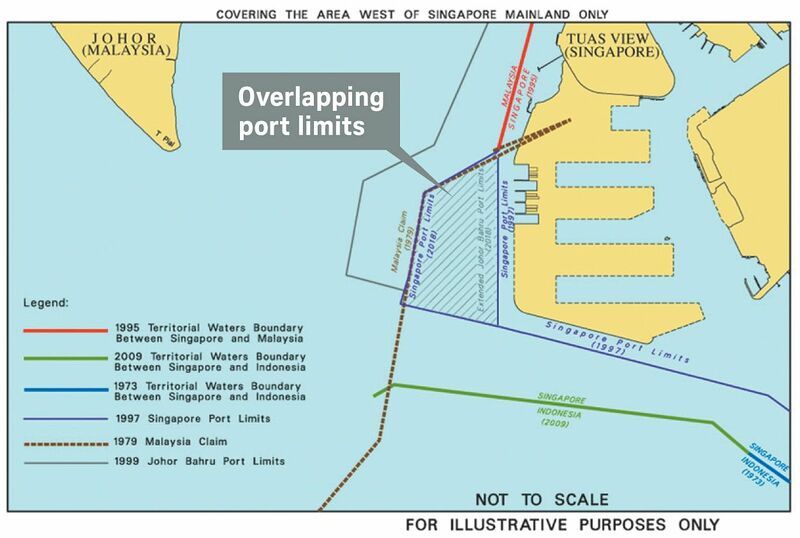 So that is why you see, pursuant to that, it means the port limits revert to that, the Malaysian vessels would have to leave the area. There will be no commercial activities there. Basically, it will revert to what it was before all this occurred. The main objective here is to de-escalate the situation on the ground and make sure to lower the risk of untoward incidents. Once that gets done, then you set the environment right, then we can commence negotiations for the delimitation. But you can't have negotiations if there are things happening on the ground, or there is tension and there is a very real risk of collision or accidents. So this is an important first step. But it is only a first step and it is a long journey because obviously in the case of Malaysia - I have said this before, including in Parliament - they are our closest permanent neighbours. Because of history, because of proximity, there will always be issues from time to time. Right now, we have got several issues that need to be resolved. My approach is to resolve them one by one. Wherever we can make progress, we will make progress. Those which will take longer to gestate, we will do so in a more deliberate, careful way. So this is a positive step, but one step in a long journey. ST: Minister, there was a suggestion from Malaysia last year to vacate the area already, but that didn't happen then. What has changed since? A: That proposal last year was not acceptable because in our view, these are our territorial waters. We don't allow ships to anchor there, we don't allow commercial activities. We have always patrolled, and we will do all these things now. So this is very different from what was proposed last year. We could not accept that proposal because in our view, that would have meant a reduction in our position with respect to our territorial sovereignty. ST: Can you outline what is different from that proposal and what was agreed today? A: In today's proposal, their ships would leave, the port limits will revert to the situation before the 25th of October, and we will continue to patrol those areas in accordance with our laws and in accordance with Unclos (the United Nations Convention on the Law of the Sea). So there will be lowered risk of incidents, we go back to the pre-existing situation that we had before October last year. And then we can sit down, we can commence the process of negotiations for delimitation. ST: So the difference would be that you are still allowed to patrol? A: There is no question about that, these are our waters, we will patrol. There is no doubt about that. ST: The difference of proposals from the previous round was that Malaysia wanted no patrols or activities? A: Well, we didn't go into details of the previous proposal, but in any case, that was not acceptable. So the main purpose of these arrangements now is to de-escalate the situation on the ground and avoid risk of accidents and incidents. Once these measures that we have agreed upon are implemented, then within a month of these measures being implemented, we can commence the process of delimitation. Today: With regard to the recommendations today, what if Malaysia does not respect or abide by (them)? It has happened before. A: Then we won't commence negotiations. Lianhe Zaobao: Does this mean this agreement is just temporary? A: No, it is very clear-cut that we have agreed on five items. The first four items need to be fulfilled in their entirety, then we can commence negotiations. Let's see how things work out over the days and weeks to come.